With several Fortune 500 companies headquartered in Cincinnati like Proctor & Gamble, Macy’s and General Electric’s Global and Aviation Operations, it’s easy to see why Cincinnati is said to be the fastest-growing economic capital business in the Midwest. 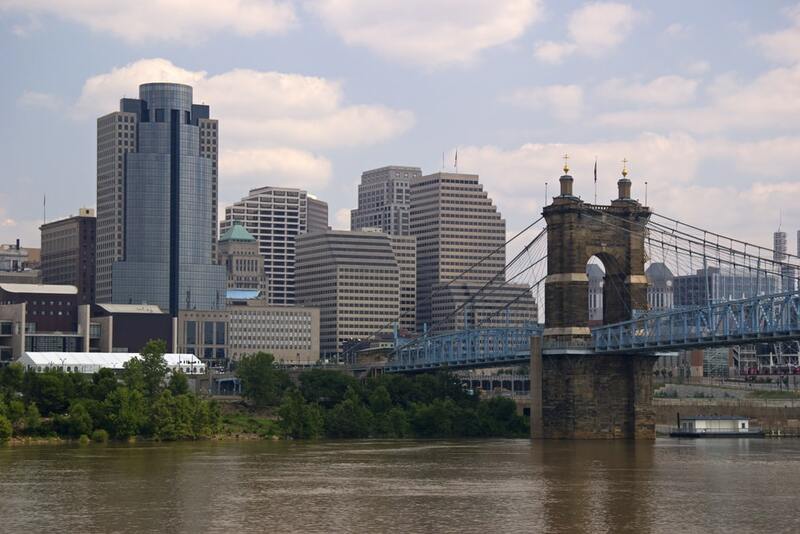 Fifty-two percent of the country’s manufacturing facilities are located within 600 miles of Greater Cincinnati. That’s quite a few companies that require heavy duty industrial epoxy concrete flooring solutions expertly installed within budget – one of Surface Solutions’ specialties. In addition to the city’s traditional strength in advanced manufacturing, Cincinnati’s economy continues to show growth, adding businesses and workforce in the advanced energy, BioHealth, life sciences, consumer research and finance industries. Surface Solutions’ expert flooring specialists especially understand the food processing and agriculture business environment in Ohio, successfully completing industrial flooring projects and garnering excellent references from food and beverage companies throughout the Greater Cincinnati area as a specialist in high performance flooring for the industry. Because of the city’s strategic access, low cost of doing business and talented labor pool, companies in the food and beverage industry are thriving. The region boasts more than 30,000 industry workers, and Cincinnati is home to Kroger Company, a Fortune 500 company and the world’s third-largest grocer. The area also hosts major operational centers for four of the world’s top 10 flavoring companies. Contact Us to learn more about Surface Solutions’ full line of industrial flooring solutions. Recognized as a top UCRETE® Master Contractor since 2012, Surface Solutions, Inc. is an independent industrial floor contractor specializing in seamless, polymer flooring systems utilizing the most trusted brands in the industry. As a Flowcrete STAR Contractor, Surface Solutions, Inc. is a leading provider of industrial flooring solutions for the Food & Beverage industry. From testing to consultation and complete installation services, Surface Solutions is your premier source of non-toxic, safe and environmentally friendly flooring systems, offering turnkey installations using only in-house personnel. All installations come with a complete single source warranty.